I really love late January and February for record releases. The barrage of big name labels and bands have just finished releasing their Walmart-ready albums and compilations and they take a short break. Because of all those releases being rushed out for the holidays the indie albums tend to get pushed back to the early months of the year. 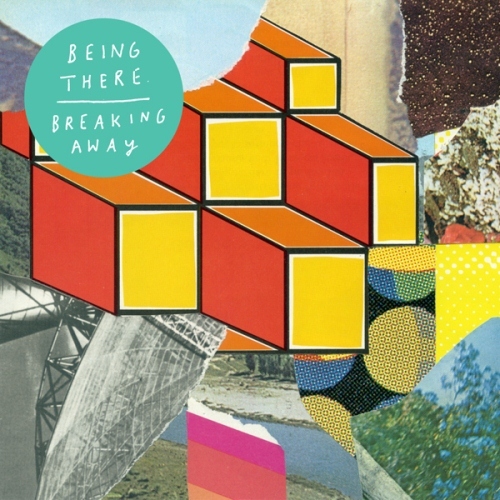 Great example: Breaking Away by the UK band Being There. There is no reason this record couldn’t take off in the next year. It’s power indie-pop that sticks in your head. It’s got bouncy guitars and a thick coat of fuzz on many songs. Listening to this record it is easy to see Breaking Away doing what Tame Impala’s album did in 2012. It worked out pretty well for that band. The chorus of “she said that anything could happen” rings in your ears on “The Radio” and Beatles sounding “17” polishes off the record on a memorable note. The strongest moment on the record is early with the thunderous drive of “Back To The Future” and the next track on the album; “Being There.” These songs let you to draw line to bands like The Flaming Lips, Tame Impala and The Lemonheads. Power-pop is a delicate thing. If it is done well it can have a timeless feeling to it. Breaking Away may not be there yet but it shows that Being There is definitely a band to keep up with. The hazy-dream guitar sound of their first album is definitely worth checking out. This entry was posted in 250 word album reviews and tagged 250 word album review, 3.5 Stars, Being There, Breaking Away, indie pop. Bookmark the permalink.